Short sales are never easy, given the overall complexity of the transaction. So when a member of US Armed Forces is suddenly deployed or receives Permanent Change of Station (PCS) orders, the complexity and the urgency increases. When this happens, the short sale listing agent and short sale loss mitigation company must not only understand the ins and outs of the short sale process; they also have to understand the potential emotional and personal complications that stem from this type of short sale. On one hand, the potential short sale seller has a duty to follow the orders of his/her commanding officers and on the other hand, there is an obligation to repay the loan to the mortgage company. When a property is worth less than the outstanding loan balance – about one in 6 homeowners (guess) around the country are under water – and traditional sale is not possible, these duties and obligations collide and serve as an element of additional stress for our service men and women. 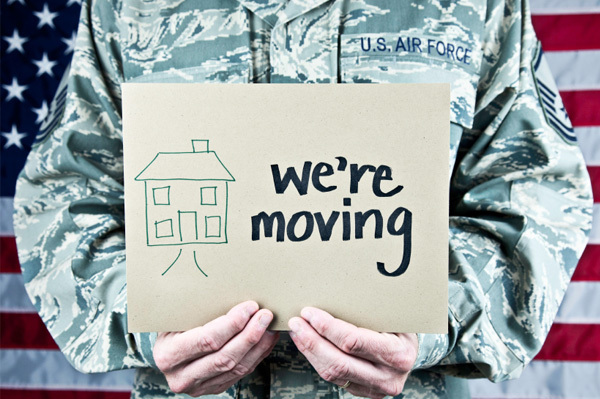 At Atlas Home Group and Atlas Loss Mitigation, we understand what our military clients are going through. After helping hundreds of sellers escape foreclosure, we know what it takes to prepare our clients for the best possible outcome given the circumstances. Whether it’s advice on the timing, deciphering the intricacies of the personalized short sale roadmap, or connections with local professionals regarding taxes, credit, or legal, our team is always protecting the best interests of our clients. After all, our military clients are protecting our freedom! When you combine the above factors, with our in-depth knowledge of the short sale process, it is clear why more military short sale sellers trust our short sale team than any other in Maryland. We are intimately familiar with lenders’ and investors’ guidelines as they relate to military personnel and PCS orders. We know how to prepare the short sale package to minimize the short sale timeline; we know what buttons to push with lenders and their short sale negotiators; and we know how to keep the buyers and their agents in the transaction when difficulties arise. We know that when deployment or PCS orders are given, our military clients do not have time to worry about the details of a short sale. Our expert short sale knowledge and understanding of lender guidelines as they pertain to military personnel puts us in a leading position to support those who protect us! If you are a member of the armed forces and are facing a financial hardship related to your home, contact us today – we can help!